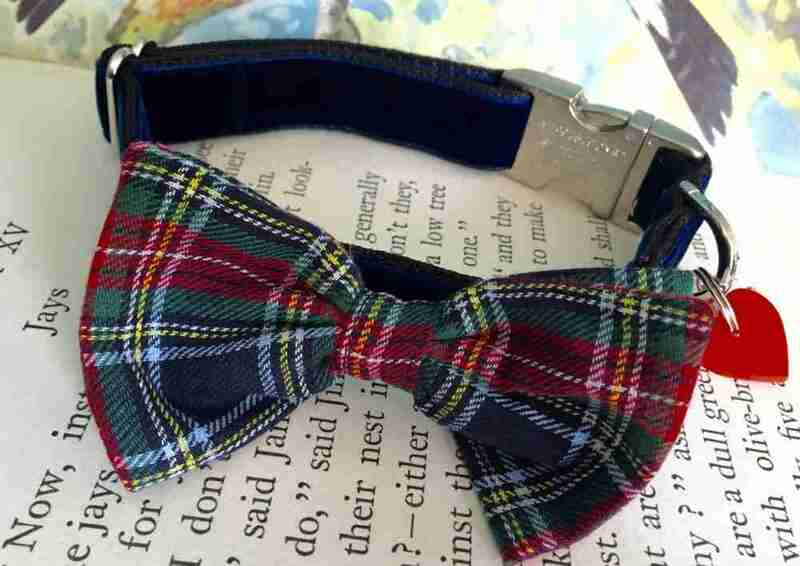 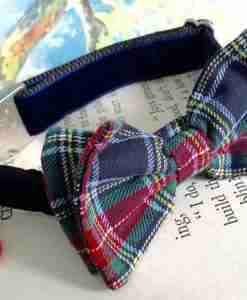 My Dougal McHandsome is a lush navy velvet lined bow tie dog collar, topped with a handmade traditional Black Watch tartan bow tie and available in four sizes from Puppies and Small dogs right up to Labradors/Retrievers. 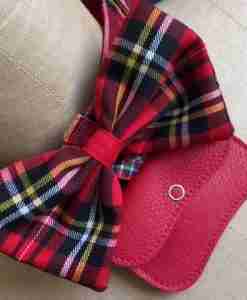 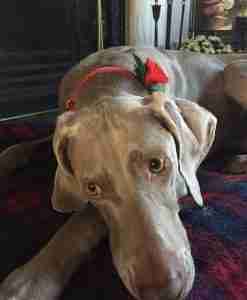 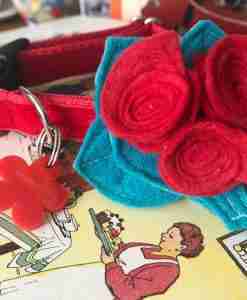 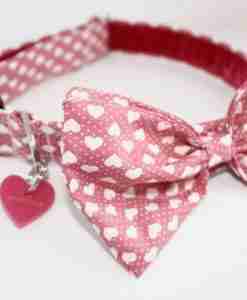 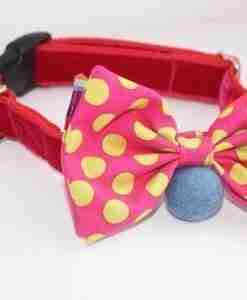 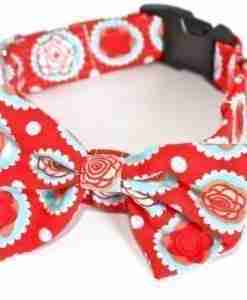 What a great bow tie dog collar for a wedding or civil partnership ? 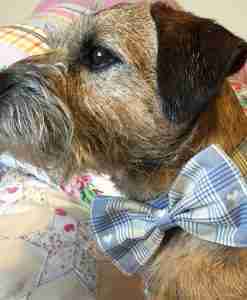 Or perhaps just Sunday lunch at the pub ? 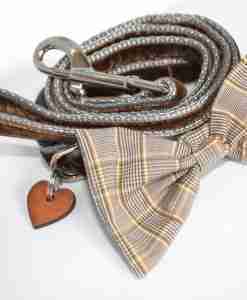 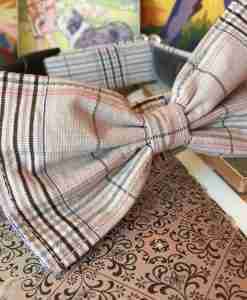 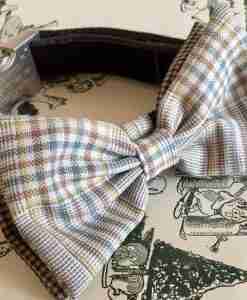 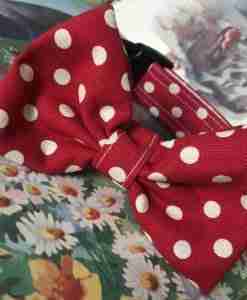 Douglas McHandsome has been a firm favourite bow tie dog collar here at Scrufts for quite a few years now and will make your whiskery chum a real head turner …. 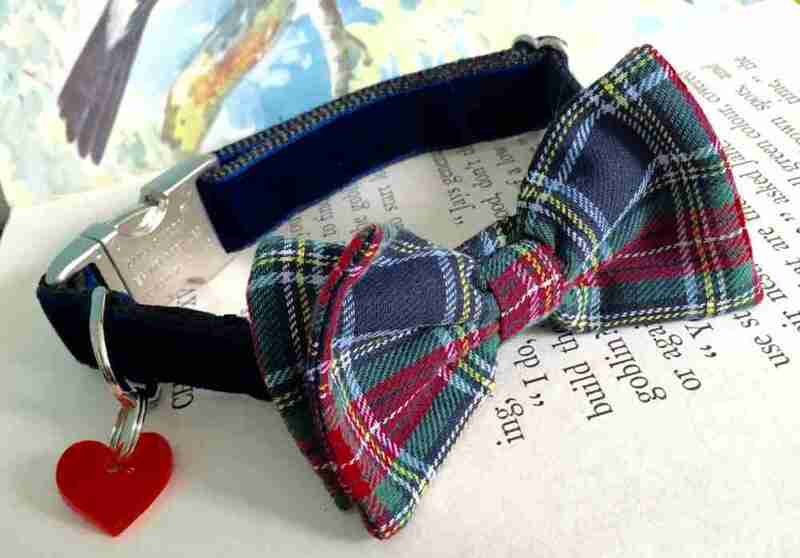 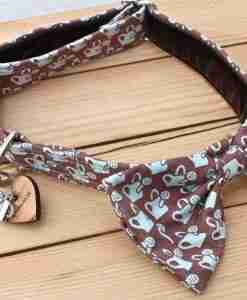 your Dougal McHandsome bow tie dog collar comes complete with an exclusive Scrufts’ heart shaped tag of the final ta-dah! 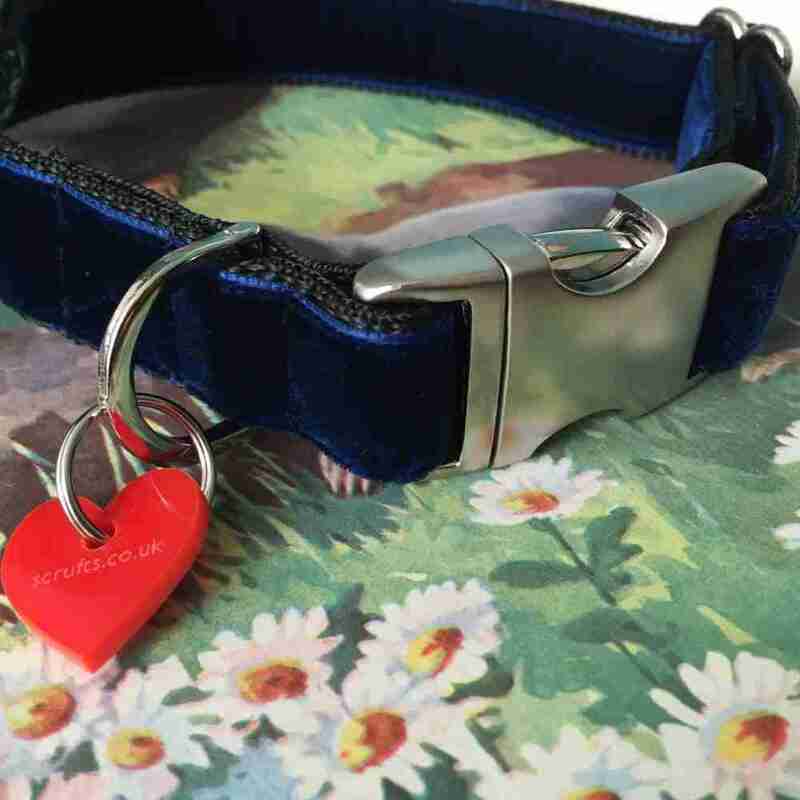 Your Dougal McHandsome dog collar is made utilising a strong polypropylene webbing, Swiss velvet, metal dee ring and slider and hi spec black nylon side release clasp.